سواءً كنت مسافراً بغرض السياحة أو العمل, Pelican Cove Apartments هو خيار عظيم للإقامة خلال زيارتك جولد كوست. يمكن من هنا للضيوف الاستمتاع بسهولة الوصول إلى كل ما تقدمه هذه المدينة النابضة بالحياة. يشكل هذا الفندق ملاذاَ مريحاً للاسترخاء ويمنح زواره فرصة للاستجمام والتجدد، وهو يقع على بعد خطوات من المعالم السياحية الكثيرة للمدينة كمثل: Harbourside Market, هاربور تاون, Harbour Seafood Market. إن الخدمات التي يقدمها Pelican Cove Apartments تضمن للنزلاء إقامة مريحة. إن تخزين الأمتعة, واي فاي في المناطق العامة, صف السيارات, التوصيل من وإلى المطار, رعاية أطفال هي جزء فقط من الخدمات التي تميز Pelican Cove Apartments عن باقي الفنادق في المدينة. استمتع بوسائل الراحة الراقية في الغرف أثناء إقامتك هنا. بعض الغرف تتضمن تلفزيون بشاشة مسطحة, مكيف هواء, شرفة/ تراس, ساعة منبه, تليفون لمساعدتك على استعادة طاقتك بعد يوم طويل. كما أن مجموعة الخدمات الواسعة الموجودة في الفندق لضمان راحتك تترك لك الكثير من الخيارات لقضاء وقتك أثناء فترة إقامتك. استمتع بخدمات لا يعلى عليها وعنوان ذو اعتبار في Pelican Cove Apartments . staff were friendly and helpful. The apartment itself is very comfortable. Loved the pool and fishing. Location is great. Appartments are comfortable. Staff are very helpful. The unit we had 65 was comfy and a new kitchen and bathroom facilities were great. Air con was invalueable in the Queensland summer but it didn't cool the bedrooms down and with only fans most of our 8 nights were disturped sleep. grounds and pool are well kept and the underground parking was great. The units windows/net are old and a good spring clean is needed on them and on carpet areas to freshen them up. Great kitchen tools and containers provided. Not 4-5star luxury but good for a family break. modern clean spacious apartment. good location. friendly helpfull staff. we had a very relaxing holiday at the pelican cove apartments. The pool and spa were in good working order.Pleasant outside areas ,nice gardens and BBQ area. The staff were friendly and gave good advice on where to go and what to do. Would recommend to family and friends. 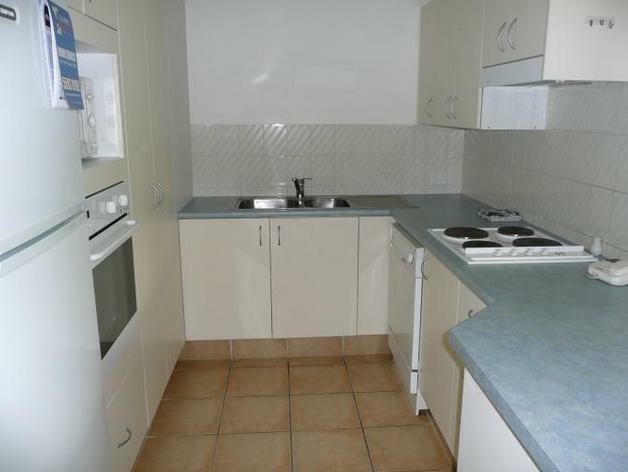 clean spacious apartment, location , friendly and helpfull staff. Wonderfull stay at the Pelican Cove apartments. 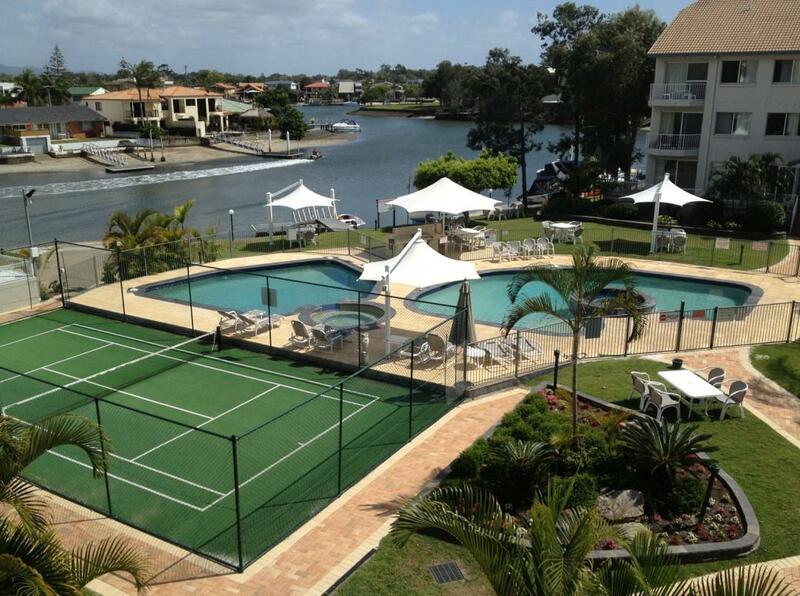 Ideal for families with short drive to surfers and theme parks. What made it a good holiday all round was the friendly and helpful l staff. I would recommend the Pelican Cove Apartments to friends and family. Very enjoyable. I had ten days of total relaxation. 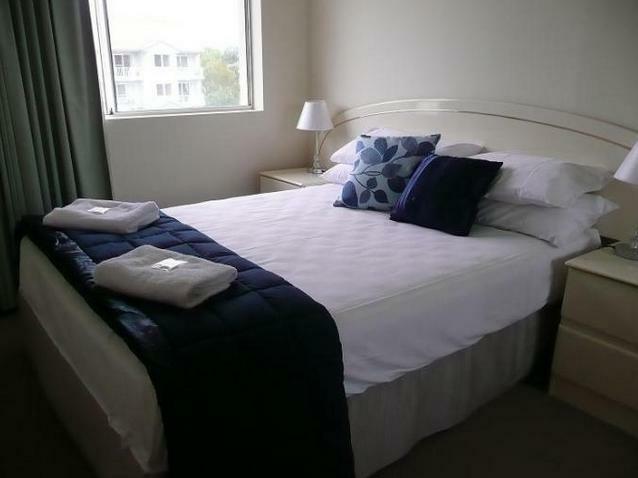 Nous avons séjourné 9 jours à cette hotel, il est très bien situé entre la GoldCoast et les parcs d'attractions. Emplacement calme au bord d'un bras de mer. Grand Appartement avec 2 salles de bain, cuisine équipé, salon, et petite terrasse Piscine chauffée, 1 parking Centre commercial à proximité.